A new pre-coated steel tube section, that Orrcon Steel describes as “revolutionary”, is soon to be launched into local markets. Orrcon Steel claims its new product - the Maxi-Tube can provide “exceptional corrosion resistance"
Manufactured in Australia, the new zinc-alloy coated Maxi-Tube is said to provide "exceptional corrosion resistance for tubular steel products used near marine and corrosive industrial environments". Orrcon Steel National Sales and Marketing Manager Lester Kirkwood,says the release reflected Orrcon’s pursuit of continuous innovation and commitment to its customers. "It is a real game changer for us, suitable for a wide range of steel tube and pipe applications where corrosion resistance is required," he says. His firm claims Maxi-Tube’s high barrier to corrosion provides at least 50 per cent greater corrosion resistance than traditional batch hot-dip galvanized (HDG) steel. Superior scratch resistance due to coating 2.5 times harder than zinc. Lower carbon footprint due to reduced manufacturing processes and a longer product life. "For the first time in Australia, a defined warranty is available for tubular steel products in areas less than 1km from marine and coastal environments," the company says. "Maxi-Tube comes with a warranty of up to 25 years depending on the environment and the application in which the product will be used." 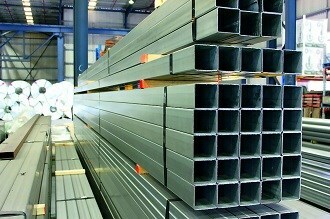 Find Steel construction material for sale.